does not diverge as \(n\rightarrow \infty\). 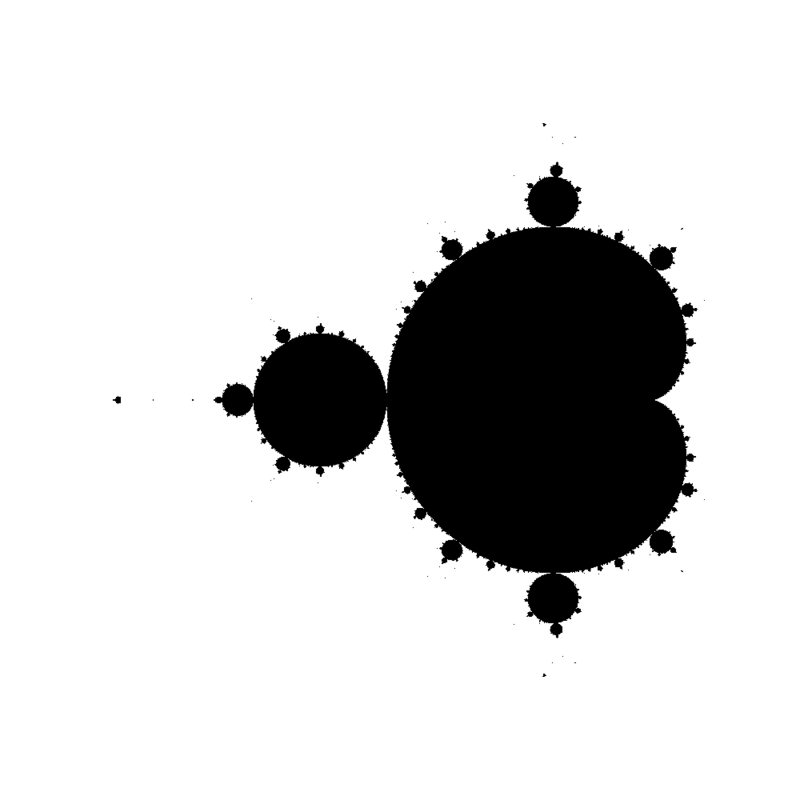 These values of \(c\) can then be plotted in the complex plane to produce some interesting images. As each pixel in the image is an independent calculation this is a good problem for getting familiar with parallel computing. 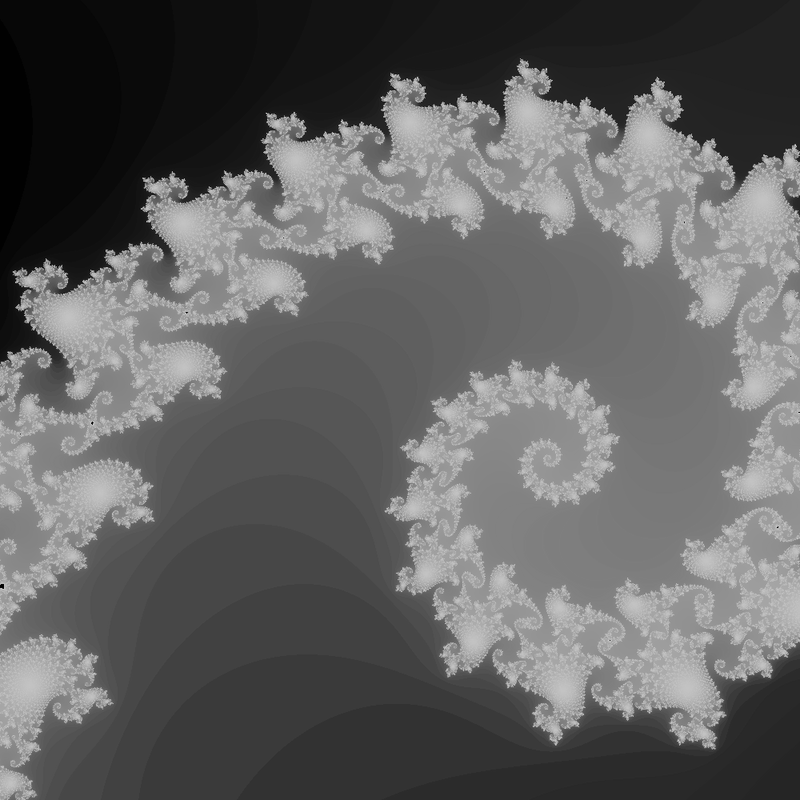 The following images were generated with the code at https://github.com/smsolivier/Mandelbrot.